Welcome to Murphy’s Rooftop Company! 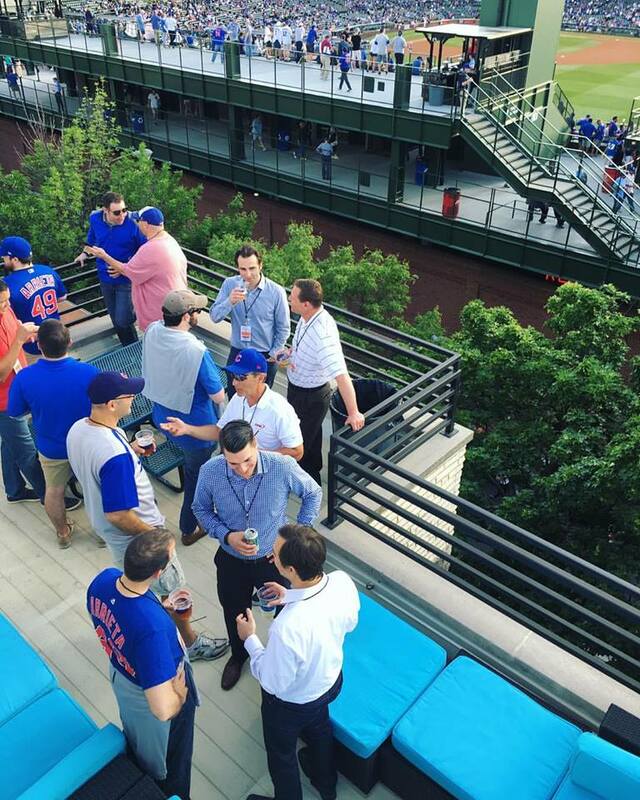 Want to really enjoy a Cubs game with a group of friends, family or co-workers? Murphy’s Rooftop Company is the perfect setting. We offer private events in a relaxed atmosphere with a view unique in all of sports. Take part in a Wrigley Field tradition that goes back to the first Opening Day in 1914 by watching baseball from a rooftop overlooking Sheffield Ave. Kick back and enjoy the game with fantastic ballpark food like the legendary burgers, succulent brats, and abundant cold beer catered by Murphy’s Bleachers. 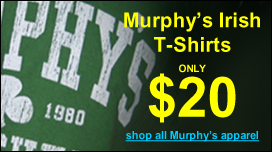 After the Cubs game bring your group downstairs for more fun, beverages and eats at Murphy’s Bleachers. 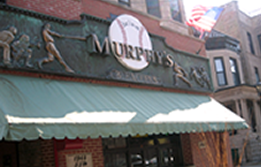 Murphy’s Bleachers, nationally known as the place to hang out before, after and during Chicago Cubs baseball games for fans, players and celebrities. 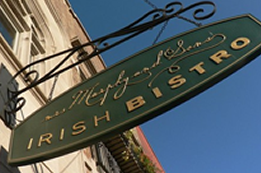 If fine dining is what you’re looking for then just down the street is Mrs. Murphy and Sons Irish Bistro. They offer Contemporary Irish Cuisine in a Traditional Setting. Situated in the Lakeview neighborhood, Murphy & Son’s Irish Bistro is an ideal location for dining due to its close proximity to Chicago’s many attractions. Enjoy Murphy & Son’s Irish Bistro’s splendid cocktails, marvelous food and extensive beer list.